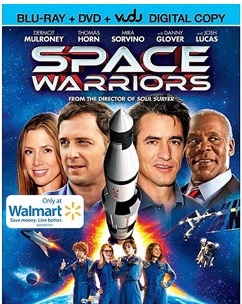 Space Warriors Is Out Now On Blu-ray! Check out the Space Warriors Blog App and enter the Giveaway! • Take the How Spacey Are You? QUIZ – Are you a Space Warrior? Do you use the stars to navigate your journeys instead of the map function on your smartphone? Take this quiz to find out whether you're destined to orbit the cosmos or whether you're happiest living here on this planet. • Prepare for Blast-off! Download the Space Warriors Viewing Guide above – Mark your calendars and check off the boxes as you watch Space Warriors for the most spectacular, spaciest experience!